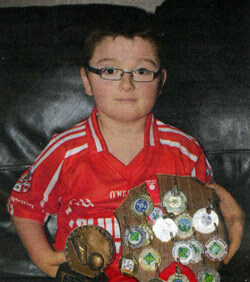 NIALL McCann is a youngster who has overcome severe difficulties to pursue his sporting dream. The eight-year-old was born with ectrodactyly – a genetic disorder affecting the hands and feet. Shortly before his first birthday Niall had both his legs amputated as a result of complications connected to the condition. However, young Niall has put these hardships to the back of his mind and has concentrated his efforts on pursuing his Gaelic football career. Earlier this month the Clann Eireann youngster was named the club`s most improved under-eight player. I wasn’t expecting to win it. but l’m glad l did.” said Niall. 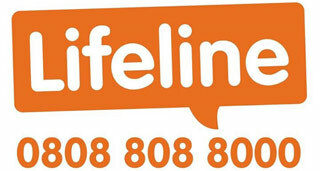 “l’m really glad to be part of Clann Eireann. All my fiends play for them. so that’s why I joined. I’m there to play football because thats what l love doing.” The Tannaghmore pupil, who uses a set of prosthetic legs, began playing for the north Lurgan club not long after he uttered his first words. Considering his parents backgrounds, his involvement with Clann Eireann was somewhat inevitable. His dad, Mark McCann. is a two time senior club player of the year, while his mum, Martina Hoye, was a key player on the Clann Eireann ladies’ team. “We always knew he would play for the club,” said Mark. “Everyone up there has been great to us, and Niall is never away from the place.” Niall, who lives in Allengrove has been forced to stop playing football for a number of weeks, as he has recently undergone an operation to get a muscle in his right leg repositioned. Mark continued: “At the awards evening he didn’t want to get into the team photo as he was feeling a bit shy. “But when his name was called out for the most improved player award, he was up like a shot.” As well as boasting a large collection of medals for Gaelic football and school sports days, Niall is also a die-hard Manchester United fan. He travelled over to Old Trafford at the club’s expense in 2007, where he got a special tour of the stadium, attended a game and met Portuguese superstar Ronaldo. As young Niall heads onto the under- 10 squad next season, he is sure to carry on the family’s name on the field of play with pride. Special thanks to Lurgan Mail editor, Clint Aiken, for giving permission to publish this article.